Running and music. Two things that I truly love. Now don’t get me wrong, I think that logging miles with no distractions, noise or technology is good for the soul. I try to run at least once per week completely unplugged. “Naked Wednesday“ has become as much a part of my marathon training as Tempo Runs and Hill Repeats. 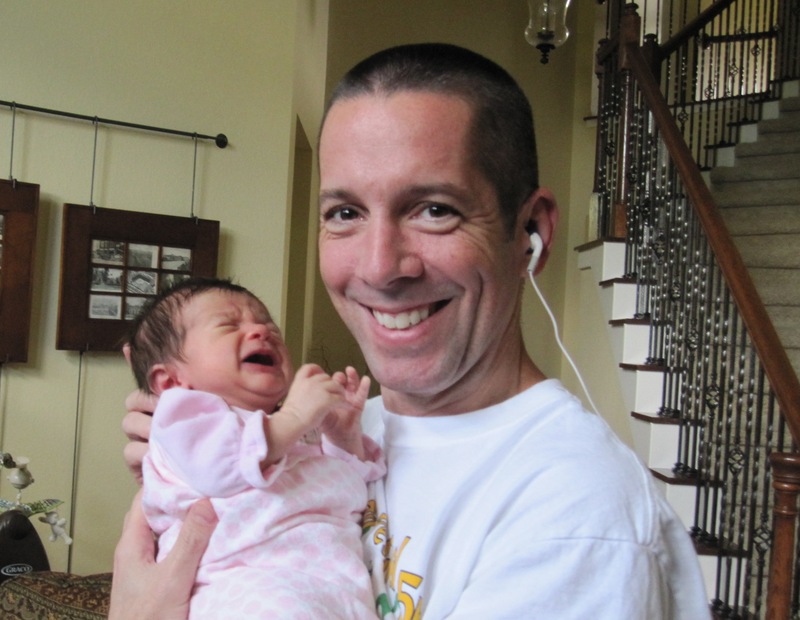 But on those days when I really want to push pace and crank out a tough run, I lean on a carefully crafted playlist that will not only get me moving as I take those first strides out of the driveway but will keep me moving when hills, temperatures, distance or pace start to challenge me. Early on for me as I was just getting into the sport I went through a lot of different earbuds and headphones. I tried some with foam, some without, some that hooked over my ears, some that did not. All in all I must have gone through at least a dozen models and brands with limited comfort and success. I would read reviews online and on running blogs and ask fellow runners at races which earbud solution they found to work best for them. I would try their recommendations with limited success. It was then that I realized that the issue was not really with all the various products I had tried, but the fact that everyone’s ears are different. Different sizes, shapes, depths which all contribute to whether or not those ear buds will or will not “stay put” while you are out there pushing it. 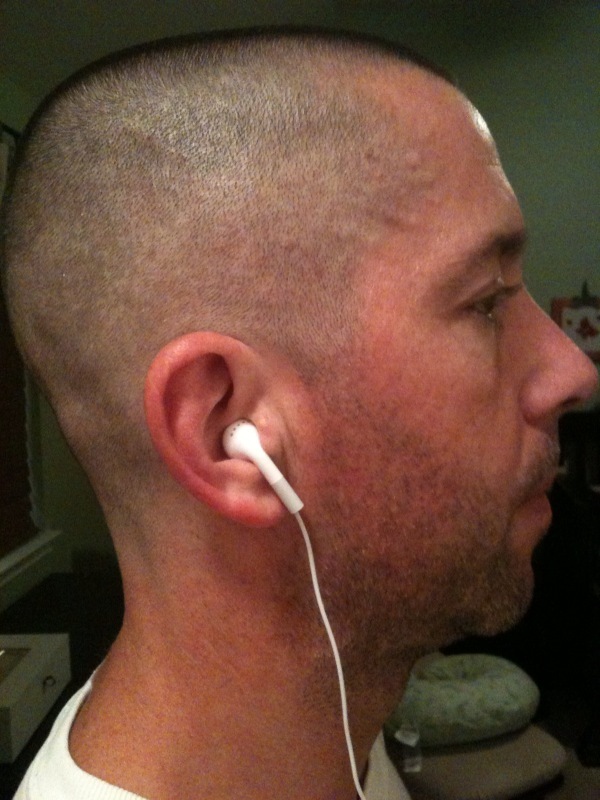 When I was given the chance to try out a pair of Yurbuds, I was very anxious to review the product. 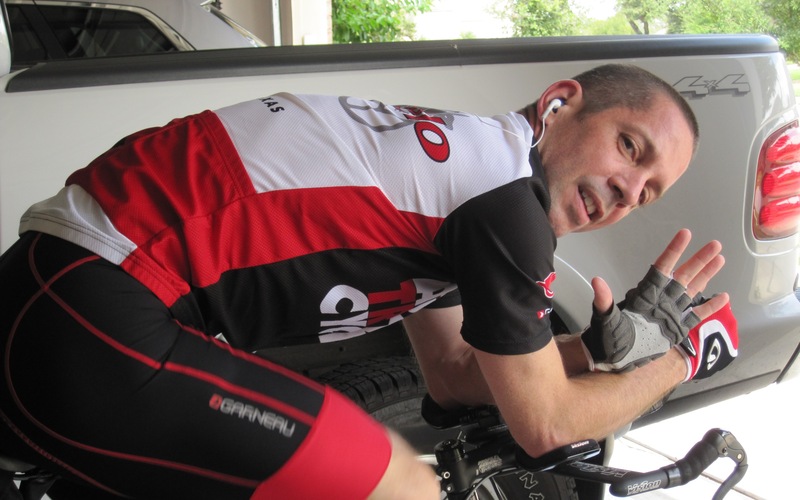 Whether you are a runner, cyclist, hiker, backpacker, snowboarder or power walker it seems that everyone is searching for the right pair of ear buds. 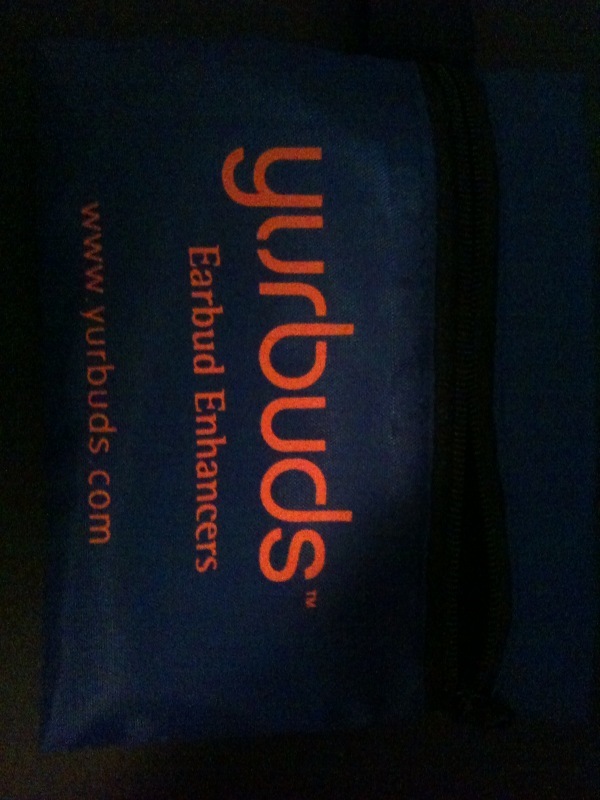 I had heard some great things about Yurbuds and couldn’t wait to get started. 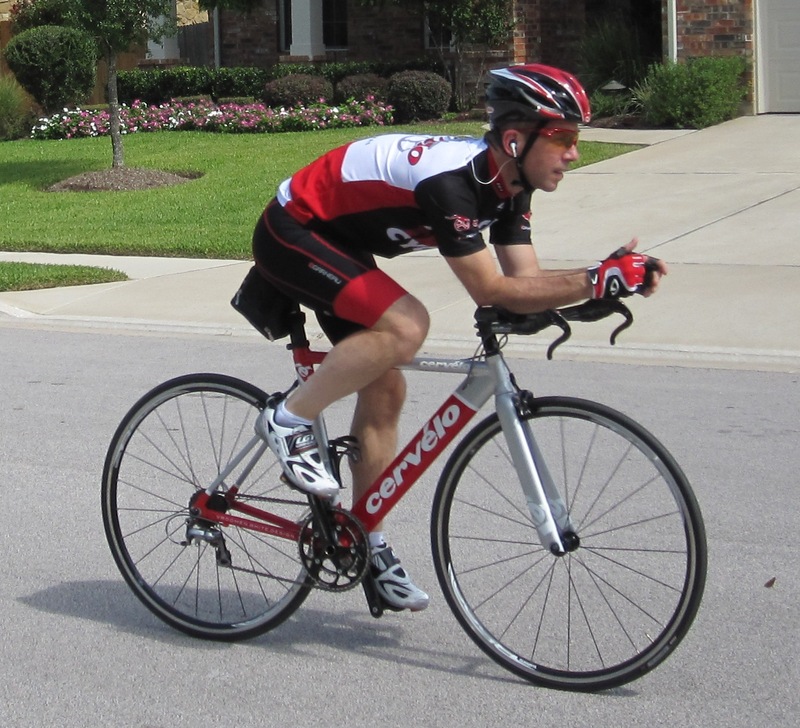 Afterall they were designed by a Marathoner and an Iron Man Triathlete. They come with a guarantee not to fall out or your money back. Sounds good to me I thought! 1. Take a close-up photo of your ear with an “iPod” type ear bud in your ear. 2. Take a close-up photo of your ear while holding a quarter below your ear lobe for scale. After I submitted my photo I was contacted by the folks at Yurbuds letting me know that I was a size 6. My pair of Yurbuds was on the way and I should receive them in about 3-5 days. As promised my package arrived and I was ready to rock. After opening my package I quickly read the instructions. 1. Find the small (L) and (R) on each bud to place in the proper ear. 2. Place Yurbud in your ear with the stem of the earphone at the 9 o’clock position. 3. Rotate Yurbud down with the stem in the 6 o’clock position. 4. Go out and kick assphalt. (O.K., I added that last step). Almost immediately I felt like these buds were going to stay where they were supposed to. I jumped up and down, shook my head back and forth, jogged in place. The product is truly a soft rubberized “Earbud Extender” with a small tube that drops down into your ear canal. Once rotated into place, the comfortable rubber holds “Yurbud” in place. They didn’t slide, move, bounce – they stuck exactly where they were supposed to. I clicked on my iPod and scrolled searching for Springsteen’s Born to Run. It’s kind of a tradition I’ve had since High School. If I buy a new car, move into a new place, buy a new pair of stereo speakers, Born to Run gets the honor of the first “play”. I’ve carried this from Vinyl to Cassette Tape to CD. Even Landry’s first song on the ride home from the hospital was The Boss. Can’t start them too early I say. Before we even hit the road I was impressed with the sound quality. The bass tones were there as were the dynamics and mid-range as Clarence Clemons wailed away on his sax. Good stuff. We left the house Thursday morning for our maiden voyage. It was Hill Repeat Thursday, which would represent a great test for my new pair of Yurbuds, I guess technically now they were “Mybuds”. Ten hill repeats at 5K effort as part of a ten-mile run. If they performed well in those conditions, I was confident that we had found some new gear. As we edged away from the house the rain started to fall. If you recall our Hill Repeats in the storm lingering around from Hermine two weeks ago, yup, same morning. Talk about a tough test environment. “Mybuds” never moved an inch the entire workout. In fact I had forgotten all about them after the first warm-up mile, which says just about all you can about a pair of ear buds when it comes to exercising. I wanted to try them in a few different environments before writing this review, as the real test is how a product performs in a variety of conditions. 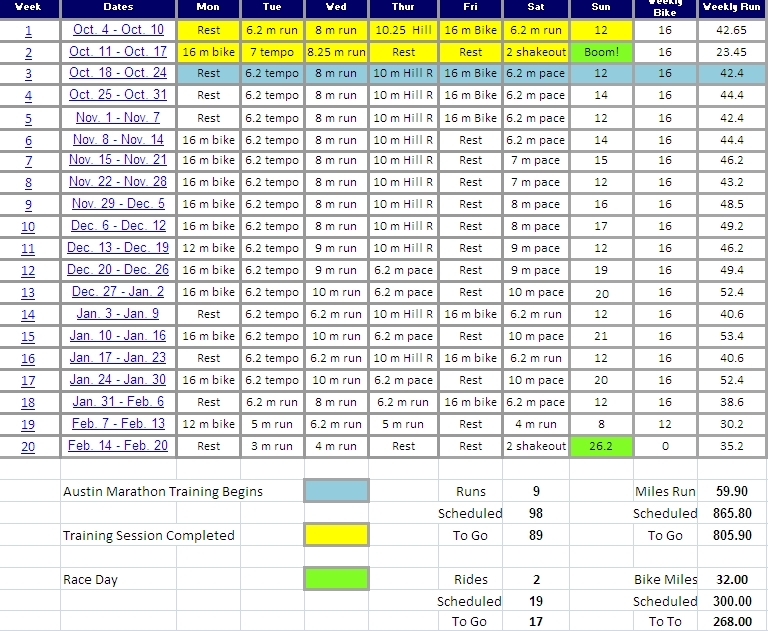 Last Sunday I wore my “Yurbuds” on a 14-mile long run, followed by a very hard tempo run this Thursday at 6:41 pace. I couldn’t be happier with the fitment and comfort. So if you are in the market for a new pair of earphones to workout with, or if you have been holding off on bringing music along with you for the run or ride because you are worried about your earbuds staying put – you may want to give these guys a try. As is the case with all product reviews at Run for Dom – these are simply my honest opinions on a product after I have had time to try it myself and see how it holds up. I am in no way compensated for my time or my opinion. Happy trails everyone – If you are so inclined to take music along on your runs and rides, Rock On I say! Oh, I am so glad you got a pair- and that you love them as much as I do! At the expo for R&R this weekend- yes, went to the expo even thought I am not racing- just in case, the guys at Yurbuds had me tape a small interview about how much I love them. I am pretty sure I look like a goon on the video but hopefully they can edit it so I dont look totally geekified! Jill – Hi there! So great to hear from you and glad you hit the R&R Expo. (You made a great decision about racing in my view by the way ….). I really love my new Yurbuds – once again this morning I literally forgot they were there over 12 tough miles – great, great product. Let me know for sure when you see the piece they taped – I’m pretty sure you pulled it off very well! Take good care Jill, have fun volunteering at R&R! Thanks for the review! I’ve been thinking of trying these for quite a while because nothing will stay in my ears for long, either. Hi Layla! Thanks for the visit and the message. I think you will really like these, I’ve had great success in all kinds of crazy conditions so far. They haven’t moved the slightest and haven’t irritated my ears at all. Two thumbs up! Hi Jodi! Nothing worse than “bud trouble” on a run – always seems to happen on a long run or race for some reason. Great job out there this weekend! So proud of you! Thanks Joe! I felt really good and strong this weekend! Thank you again for always answering my questions and giving me great advice! You truly are a “running God”!! Joe, please make sure to follow up your review after a few weeks with them. I’d love to hear how they hold up over time. I’ve tried a few earphones over the last year and some were great during week one, but then didn’t hold up over the next weeks and months. I really hope these ones work for you for a long time. Also, can you move them from one set of earphones to another? Sean – Absolutely! That is the biggest challenge I’ve found with previous earbuds, earphones as that over time as the material breaks down the fitment changes. I will absolutely post an update after the IBM race, which will be about 4 more weeks of heavy training and then tough race conditions. Best to you Sean as you enter your first Marathon Taper! Congrats on a great training cycle! Thanks for this review! R and I both have the second to most recent generation shuffles for our running. We have had to replace the ear buds multiple times because the control for volume, etc. is on the ear bud and sweat apparently ruins them. Um, who is using an ipod shuffle and not sweating? Not to mention my ears don’t like earbuds! I don’t know if the yurbuds would fix the problem with the control though…at least Apple keeps replacing them for free! Hi AJ! Who would think that you might actually use an iPod Shuffle to work out? Craziness I say. Apple is a great company when it comes to replacing gear and equipment – definitely a drag however. I’m not familiar with the shuffle, so there is no volume control on the actual device? Huh, learn something new everyday. 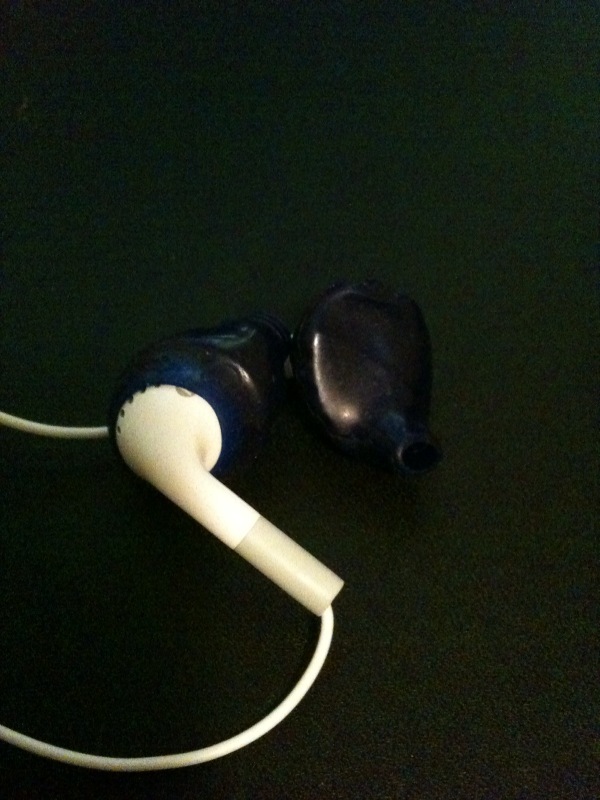 If that is the case, the Yurbuds would still help as you can place the extenders on any “iPod” type earbuds. You would just place the blue extenders on your original buds – and they would work the same way. Very cool product! Take care and best to R! Three Inches To The Left ….